Nach der ersten Werkausgabe London 1714. 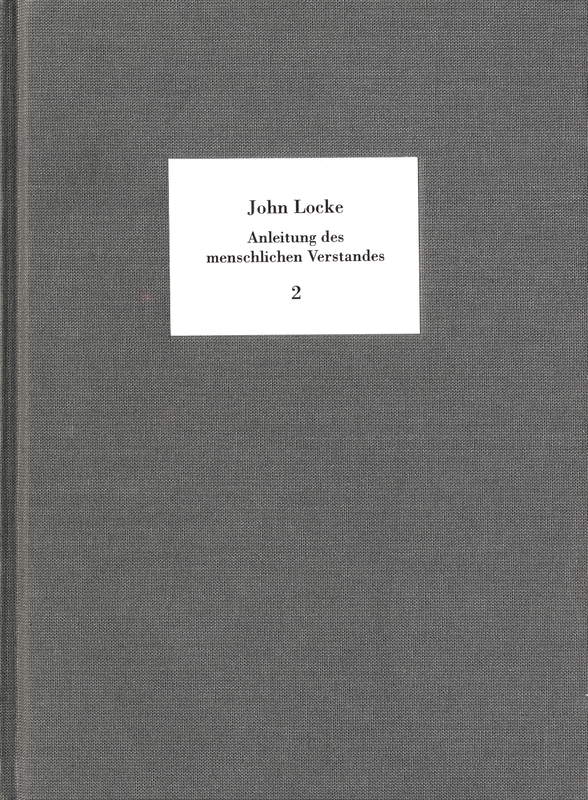 John Locke‘s ›Of the Conduct of the Understanding‹, published posthumously, contains key fundamental ideas of the German Enlightenment (for example thinking for oneself, the struggle against prejudice, impartiality). Its translation by Kant‘s fellow student Kypke contributed substantially to the dissemination of these ideas. The new annotated analysis of this text, which is hard to find and which had a lasting impression on Kant, provides an indispensable foundation for the largely unexplored story of Locke in Königsberg. This new edition also includes the ›Abhandlung von den Wunderwerken‹ (A Discourse on Miracles), added by Kype to ›On the Conduct…‹, which applies the basic ideas contained in the larger work to the philosophy of religion.